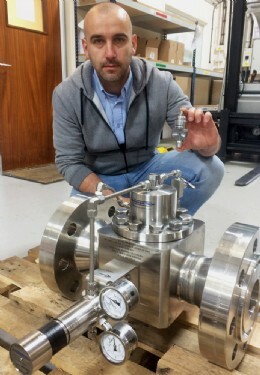 In the past 12 months, Pressure Tech have developed a 200 gram pressure regulator for use on H2 fuel cell UAV (Unmanned Aerial Vehicle) drones, and a 200 kilogram flanged back pressure regulator for a desalination plant in the USA. These two projects exemplify our ability to work closely with customers and provide exact products to meet their needs. The 200g Pressure Tech LW351 drone regulator was particularly challenging as it had to meet certain criteria to ensure the UAV Drone could maximise its flight time by controlling an outlet pressure of 0.5 bar (7 psi) under varying supply pressures, starting from a maximum 350 bar (5,075 psi) � no easy achievement under any conditions. 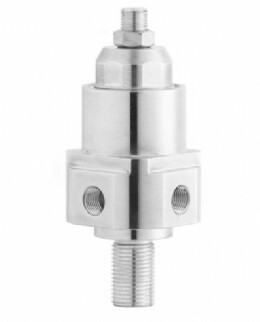 The end design resulted in a product that not only weighs 200g but maintains 0.5 bar (7psi) set point within +/-0.1 bar (2 psi) and includes connection ports for pressure transmitters, burst disks, relief valves, solenoid valves and refill port. 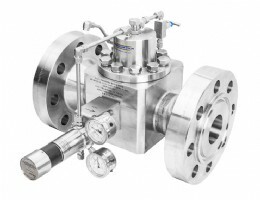 The 200kg Pressure Tech BP-HF211H-13 high-flow back pressure regulator incorporated Duplex stainless steel for all wetted parts for its use on Brine within a desalination process in the USA. The design incorporates ceramic seating to cope with the combination of high pressure set point at 275 bar (4,000 psi), high flow up to 200 US GPM, and aggressive Brine media. Two 4" regulators were supplied with class 2500 RTJ flanges, weighing approximately 200kg each! None of this would be possible without our excellent team of people with their creative ideas and solutions to resolve a whole range of applications thrown at them on a weekly basis!